A beauty junkie can never leave out base makeup especially when he/she is heading out of the house, even to run errands. For me, I have oily combination skin, very acne-prone as well, which makes it hard for me to find a foundation that suits me. 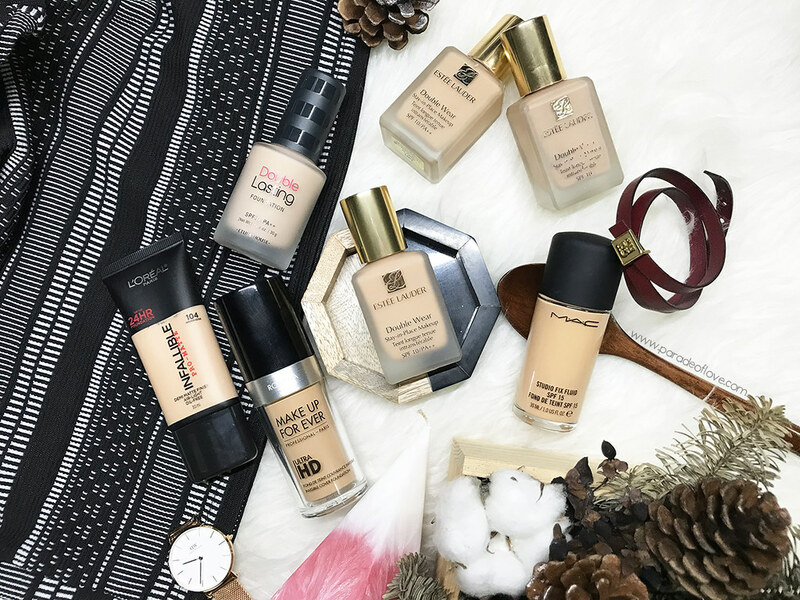 Most of the foundations I tried in the market do not last on my skin but thankfully after years of experimenting, testing and trying, I managed to shortlist my top 5 favourites! 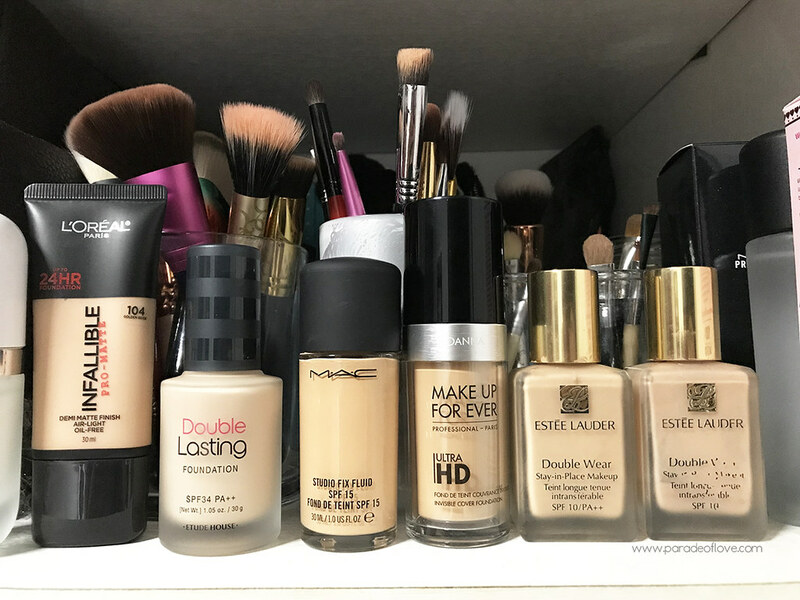 Price is never an issue for me because it’s all about finding the best foundation for my skin type. Interestingly, my five choices here range from the luxurious to the pocket-friendly ones. Hello gorgeous! It’s been eons since I’ve used up products huh? It’s like what, a whopping 8 months? I guess I gotta feel thankful and blessed for all the new products that have been coming my way. 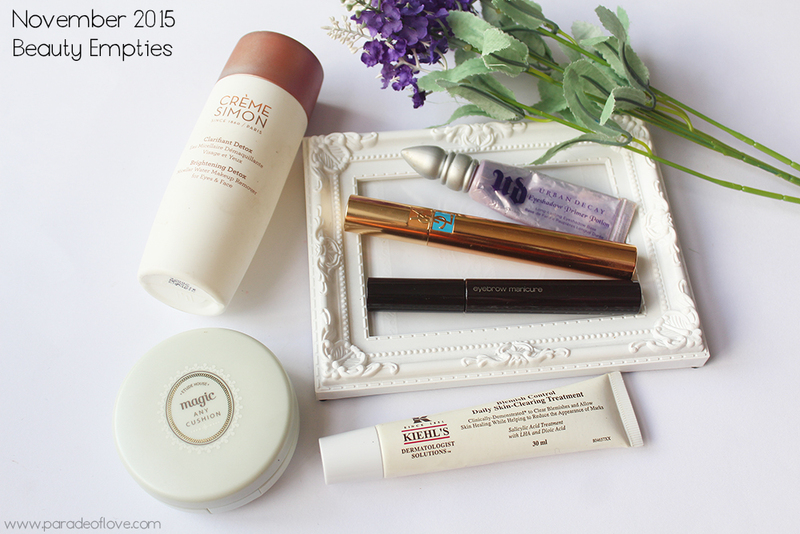 Anyway, here’s a round up on several products I have used up over the 8 months, mostly in November. There are some which have been my holy grail for the longest time and I think you wouldn’t feel unfamiliar with them if you have read my previous empties posts. 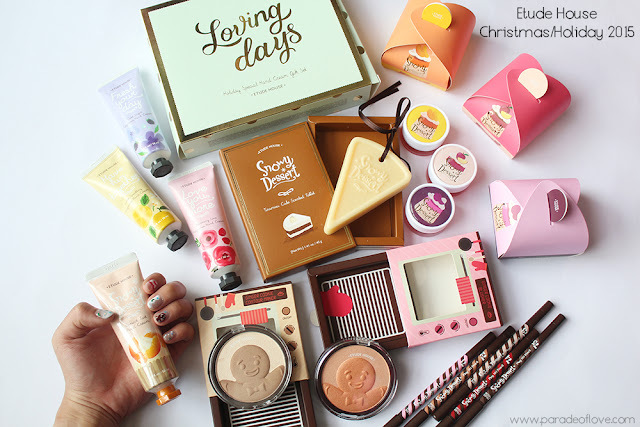 The most delectable makeup collection is here to greet you this festive season. Think Gingerbread cookies, candy canes, sorbets and puddings! The Etude House Snowy Dessert Holiday 2015 Collection is here to warm your hearts this Christmas. Enter a sugary sweet Christmas wonderland with a line-up of beauty indulgences that will doll up your vanity table. Perfect as gifts to your best girlfriends and yourself, the Snowy Dessert collection will delight all senses with its yummy, whimsical packaging, delicate colours and delicious scents that will remind you of your favourite sweet treats.